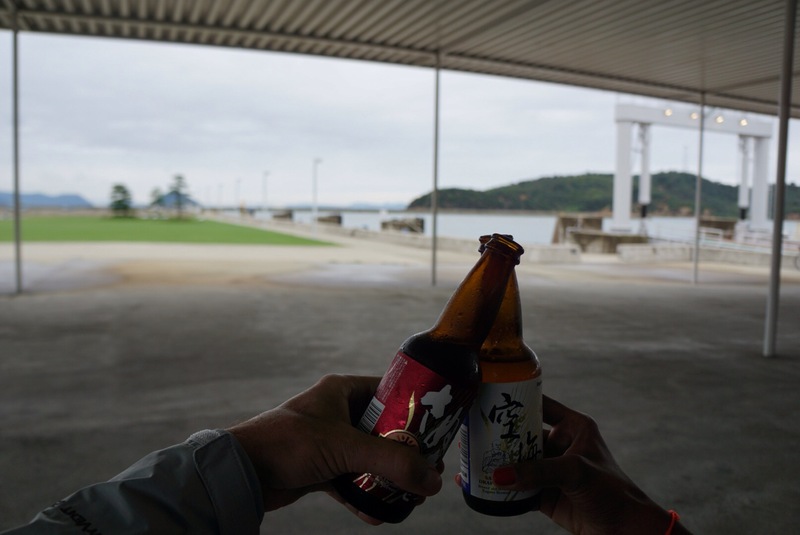 From Hiroshima we made our way to Naoshima, or more precisely the port from which you get to Naoshima. We found our guesthouse, which was small but charming, and headed over to the island. 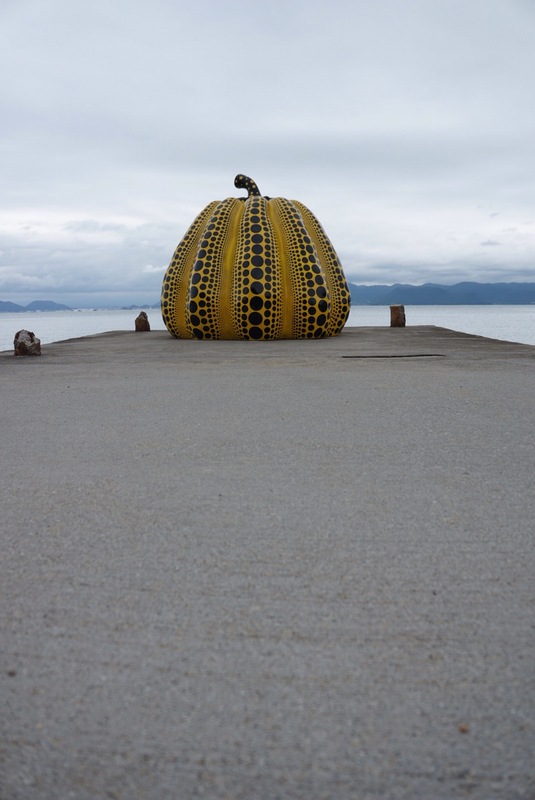 Naoshima is an island off the coast of Eastern Japan which has become a big art site – there are several museums, galleries, and indoor and outdoor installations. The island is also famous for having a lot of cute cats, and we saw several preening about through the day. 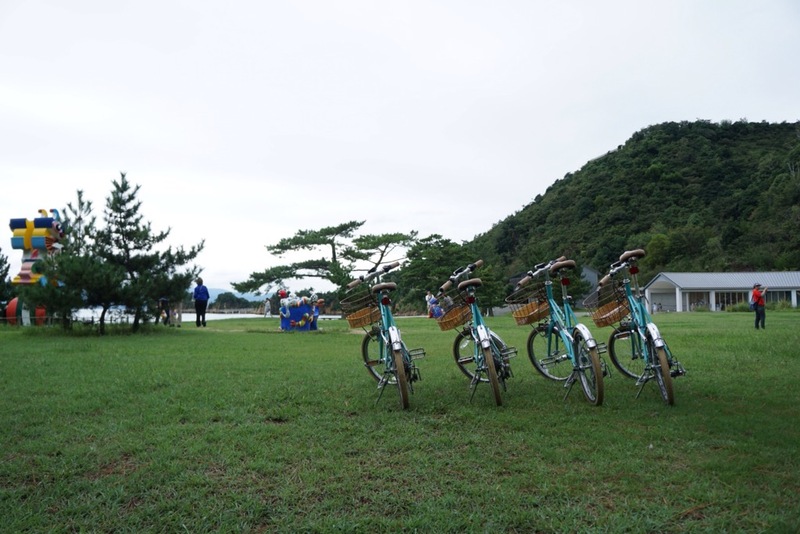 We had hoped to rent bicycles and pedal about from one site to another. Upon arrival, however, the bike rental dude wasn’t that friendly and seemed shocked that we would want to make a child ride a bike, nor did he give us any other options. 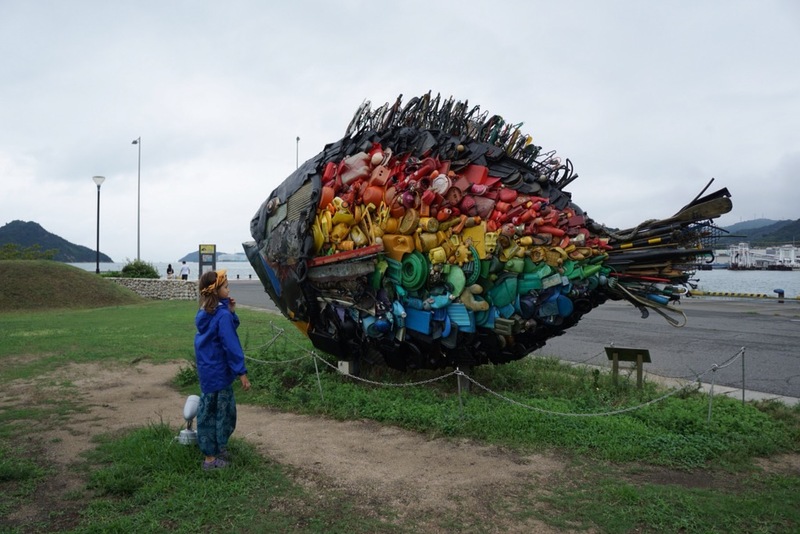 For today, we took the overcrowded shuttlebus to the Honmura site and saw the installations there. 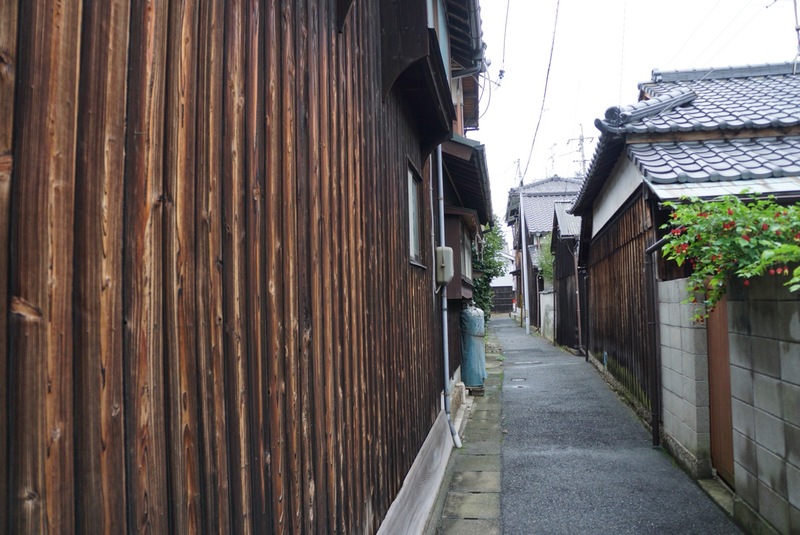 The streets are narrow and the houses stand from the Edo period (1603-1868). 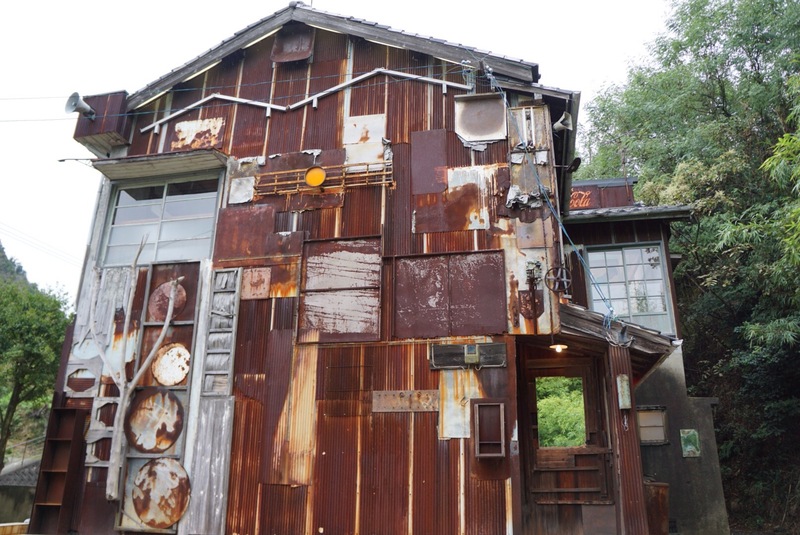 Several of them have been gutted and transformed into installations. You can’t take pictures of the sites once inside, unfortunately. The first one we saw, and by far our favorite was a large room we walked into, pitch black. We were led in in small groups of ten or so people, and had to use our hands as guides around a wall before sitting down on a bench and staring into a seemingly black space. Slowly, as our eyes adjusted, the back wall came into view, a large rectangle of dim blue light, growing brighter. Eventually we could see it clearly, the guide asked us to walk towards it and touch the wall. We went to touch the wall…and our hand passed right through, eliciting gasps of surprise from everyone. The light was reflected from an angled wall, which fell away from us so the blue light was actually an empty space. We then walked around the space, our eyes adjusted so that we could see clearly, but the area still playing with our perception. 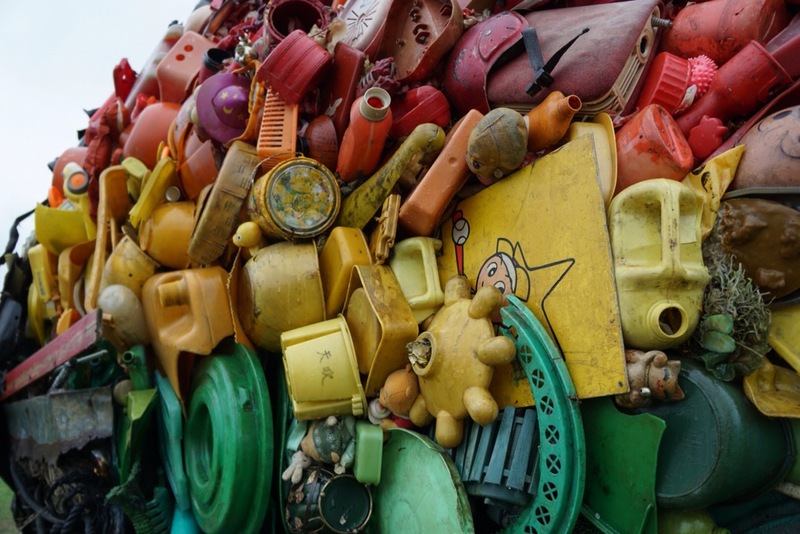 It was a wholly encompassing artwork, and we all talked about it afterwards. On our way to the last site, we walked by a little cafe that seemed to have bikes that might fit the girl, and decided to check back again the next day. Our guesthouse host had told us of an onsen across the street, and so of course we went! This was my favorite one – they gave you these nice robe/shorts to wear (jinbei) and there was a steam room with a large bowl of salt you could give yourself a scrub with, and these very shallow rectangular pools you could lay down in one or two inches of hot water, a perfect combination of hot water and feeling cooled by the air. The following day we headed back to the island and made it to the cafe/bike place. Once again, they seemed very hesitant to rent to a child and warned us of the excessive hilliness of the island. I’m still not sure what to make of this – is it just that they don’t think kids are capable of riding hills, or that they didn’t think the girl was? We were able to find a bike that just barely fit her, and took off. There was one hill I would consider “big” that we had to go over, and even I had to walk the bike at the end of it, but other than that nothing we hadn’t all done before. 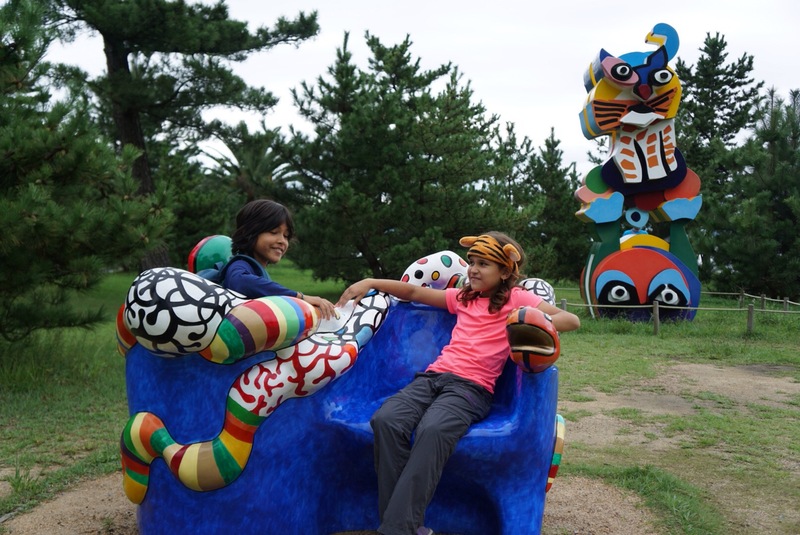 We made it to the other side of the island in fifteen minutes and saw many of the outdoor art pieces for which the island is famous, especially the big pumpkin! Lunch was poorly planned on our part – I thought there would be more options in the museum area, but no. We snacked at the Chichu Art museum and then went inside. Again, no pictures were allowed inside. The museum is designed by Tadao Ando and is entirely built underground into the island, however in such a way that all artworks are seen in natural light only. The museum has a room of Monet’s water lilies, and honestly, I kind of thought, yawn, water lilies again? I mean, haven’t we all seen enough posters of water lilies in the dorm rooms of our college freshman roommates, especially those who later moved into sorority houses? But in this museum, it was a different experience. The floor of the room is made with matte marble mosaic tilework, ranging from white to gray, and you have to take off your shoes before entering the room and change into slippers. Because of this, the room isn’t crowded and there’s no one trying to take pictures and you can’t hear anyone even walking about, just shuffling along quietly, so the focus is on the art and you can appreciate the beauty of them, especially illuminated as they are with natural light only which reflects softly off the tiled mosaic floor. 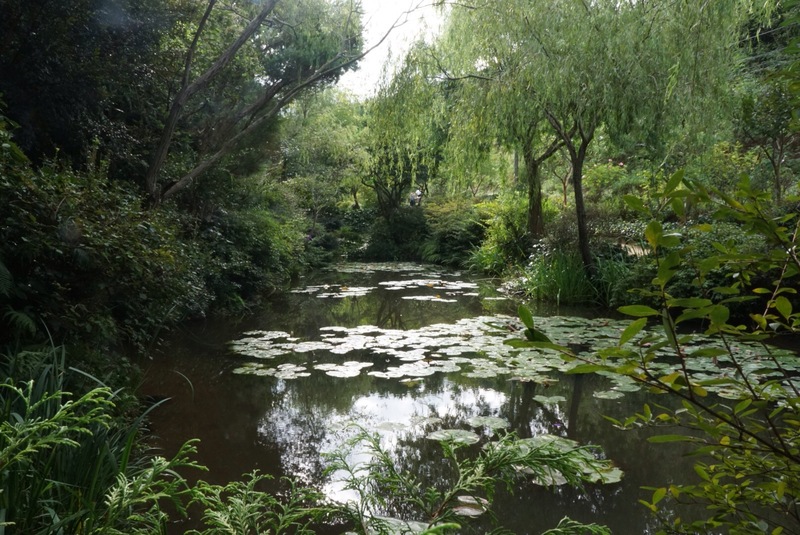 On the way into the museum, there’s a garden set up in the style which inspired Monet, and it was lovely to see the real life inspiration behind the work. We rode back as the sun was beginning to set , dropped off the bikes, and enjoyed a beer before the ferry came to take us back to the mainland. 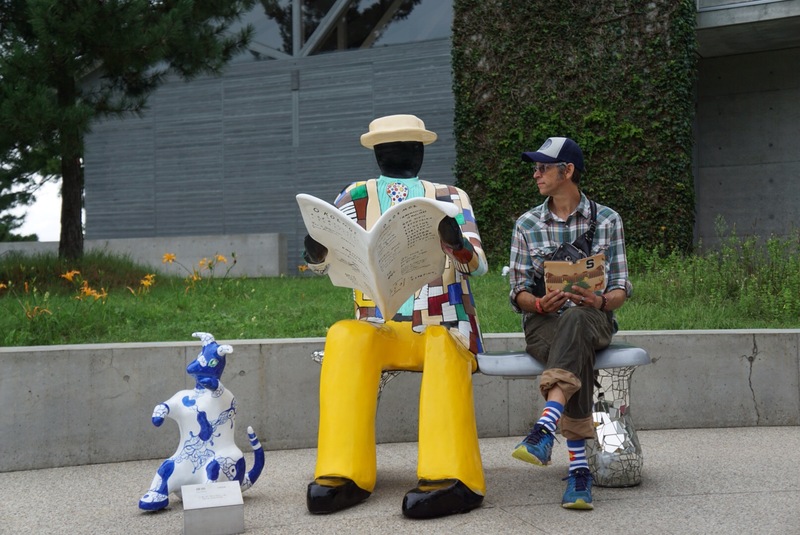 In which we visit Hiroshima, dance the chicken dance, and later nearly step on a snake. Again. Looks fascinating–I’m headed there in a week or so, thanks for sharing! We loved it! I only wish we had more days to explore the other islands as well! Japan is on my “someday” list. It sounds wonderful. That said, I can’t believe you tortured your children with bicycles. What next? Will you make them try scooters? The horror…. Loved the photo of Eric and “the man”.